Pretty sure you’ve heard or watched We Bare Bears before unless you’re living under the rocks or something. 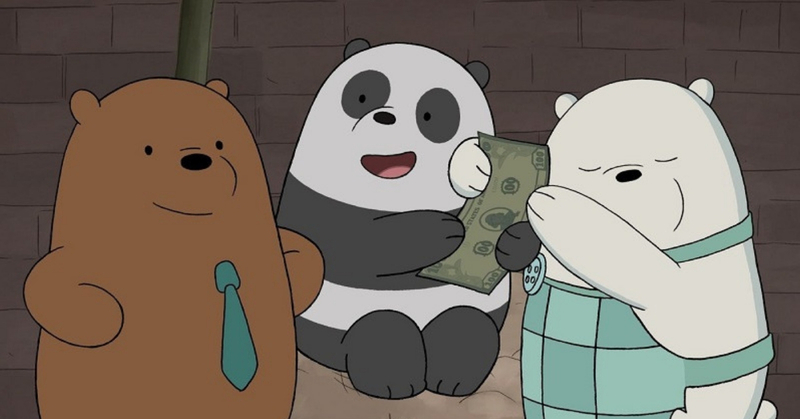 This Cartoon Network animated series talks about the story of three brothers’ bears (Panda, Grizzly, and Ice BEAR) on their journey of making friends with humans. Each of the bears has their own unique talents and personality which makes them special. Not only that, their cuteness is overloaded making everyone just fall in love with them when they watch the animation. Many brands want to collaborate with them for their collection including SPAO. SPAO is one of the popular clothing brands from South Korea. Recently, they collaborated with We Bare Bears for one of their latest collection. Let’s take a closer look at some of the items in the SPAO x We Bare Bears Collection! These cute Unisex T-Shirts perfect for couples who want to have matching clothes or simply just a group of friends who want to have matching friendship outfit and take lots of #SquadGoals pictures. Bored of plain shirts? Don’t worry as they have striped T-shirts too! Why go for a plain looking lanyard when you can have a cute one instead? You can walk around with your lanyard and ID in style! Do you know that bags are important especially when you go to school? A cute bag can actually make your school day even better. You can choose to match your outfit with either this cute bear Tote bag or Backpack or maybe both? They are all just so cute! What are you waiting for? The SPAO x We Bare Bears is only available at Parkson Elite Pavilion, Sunway Velocity Mall, IOI City Mall and, Paradigm Mall Johor Bahru, so grab your favourite bears merchandise before they are gone!